Purpose. The Centralina Partnership for Attainment and Career Pathways (“CPACP”) is a community collaboration of the 9-county Centralina region around Charlotte, NC committed to increasing overall post-secondary attainment in the region and to increasing post-secondary attainment for occupations in the region’s high-demand, high-growth industry sectors that require a variety of postsecondary credentials. 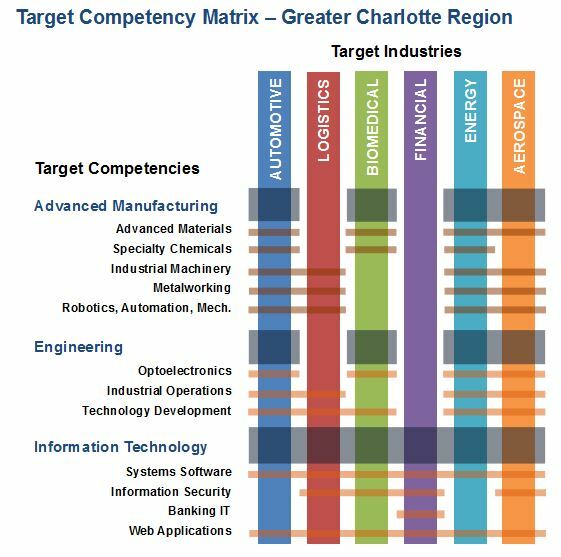 These sectors – Aerospace, Automotive, Energy, Finance, Health/Biomedical Sciences, and Logistics – depend heavily on core workforce competencies of our region in advanced manufacturing, information technology and engineering. raise overall post-secondary attainment among 25-64 year olds to 60% by 2025. The region has successfully built many best-in-class systems and programmatic infrastructure, all aimed at aligning educational systems with the talent pipeline for projected in-demand occupations in our targeted industry growth sectors. 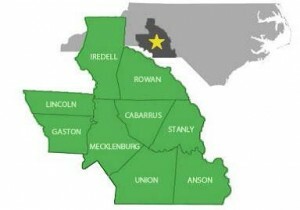 In fact, the NADO award-winning “Prosperity for Greater Charlotte Report” (2012) included a ground-breaking Jobs, Workforce and Education Alignment Strategy that identified improved post-secondary attainment in the region’s target industry clusters as a critical need to support industry growth and economic development. Our challenge now is to more aggressively promote those careers and pathways. CPACP will help fill this critical need. Strategies. CPACP’s primary strategy for reaching these goals is to address workforce gaps by implementing a regional program People|Skills|Prosperity modeled after Greater Louisville Chamber of Commerce’s Degrees at Work program. This program will help connect companies with tools and resources to help their employees, who are under employed due to a lack of credentials, obtain the necessary post-secondary credentials in order to move up in the company. The CPACP region’s companies, like many others across the country, are facing workforce gaps due to an aging workforce. These older workers typically hold managerial and supervisory positions, which are going unfilled due to a lack of qualified talent. The cost of replacing these individuals can be up to five times that person’s salary for external recruitment. If CPACP can assist in filling these positions internally by helping employees obtain the required post-secondary credentials, CPACP can help reduce recruitment costs and retain that invaluable institutional knowledge- adding to the bottom line. With individuals moving up the company chain this leaves other vacant positions, where recruitment will be necessary. Here we would work with students and other job seekers to target post-secondary credentials for participating companies to continue to the flow of workers into the pipeline. Partners. CPACP is a broadly inclusive body open to all organizations committed to improving post-secondary attainment. CPACP partners include Centralina Council of Governments, Centralina Economic Development Commission, Foundation for the Carolinas, Charlotte Works, Centralina Workforce Development Board, UNC Charlotte’s Ventureprise, the region’s community colleges, school systems, local governments, and a host of private sector and non-profit firms. The CPACP Steering Committee, a smaller group of core partners, will guide the CPACP Awareness Initiative. The initial nucleus of the CPACP Steering Committee is the Centralina Comprehensive Economic Development Strategy Advisory Council, which has served as the foundational group for regional efforts linking post-secondary attainment and economic strategies. The Centralina community collaboration has been coming together in a strategic fashion since 2010 in order to identify problems affecting and to develop strategies to improve the health, welfare, education, and economic conditions or our region’s residents. Lumina Support. CPACP is supported by the Lumina Communities Partnership for Attainment, with technical assistance and a $115,000 two-year grant. Approximately 75 major metropolitan regions from across the country have been invited to participate in this grant program. The goal of the Lumina Foundation is to increase the proportion of Americans with post-secondary degrees to 60% by the year 2025. Contact us. For more information about CPACP, contact Centralina Council of Governments: Victoria Rittenhouse (at 704-688-6502 or vrittenhouse@centralina.org) or Mike Manis (at 704-348-2720 or mmanis@centralina.org), 525 North Tryon St, 12th Floor, Charlotte, NC 28202.